This is the second part of my long trip from Manila to Naga City in Bicol. 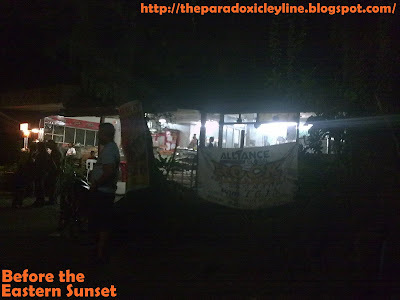 For the first part please read, On the Road to Bicolandia by Philtranco Bus. Traveling by bus is hard because you can't stretch your body that much. 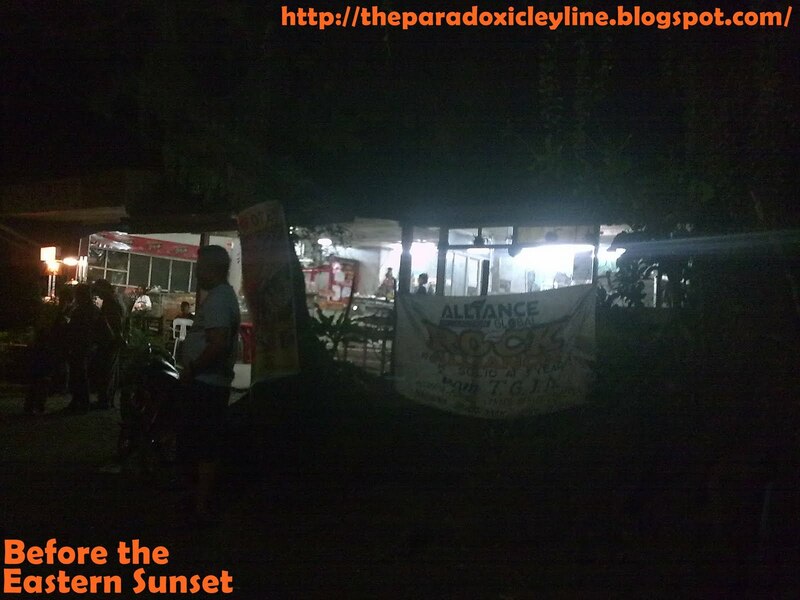 That's why I am glad that the Philtranco buses have stop-over at an eatery somewhere in Gumaca, Quezon. I went down the bus so I could stretch my legs and to warm myself a little. We reached the stop-over during wee hours of the morning but many people are awake. The eatery at Gumaca stop-over. Sorry for the dark photo. Be warned that the eatery sell food and drinks that are priced way above the suggested retail prices of those products. We left the eatery after a few minutes stop-over. Other Philtranco buses also had stop-over at Gumaca. I noticed that we had a different driver when we resumed our travel. The reason is that it is the original driver's turn to sleep while it is the assistant’s turn to drive. The assistant already slept while we are traveling from Philtranco Pasay to Gumaca. A friend of mine commented that this scheme of driving and sleeping is hazardous because the driver is alone and no other person that he can talk to and assure that he will stay awake while driving. I was able to sleep while we travel from Gumaca to Naga but I woke-up whenever the bus stop because I am always checking my belongings located on the baggage counter above the seats. There are instances where passengers accidentally get other passengers belongings during a long trip and I am making sure that no one will do that mistake on my belongings. I also have this nagging thought about those communist brigands that are common in Bicolandia and the province of Quezon. There is news that those criminals torch buses owned by companies that don't pay “revolutionary taxes.” Fortunately, there is no unsavory incident occurred during the Gumaca to Naga part of the trip and I reached Naga City before 7 in the morning. I had no bad experience when I traveled via the Philtranco bus. I also rode a Philtranco bus when I went home from Naga City to Manila and I also have no bad experience. 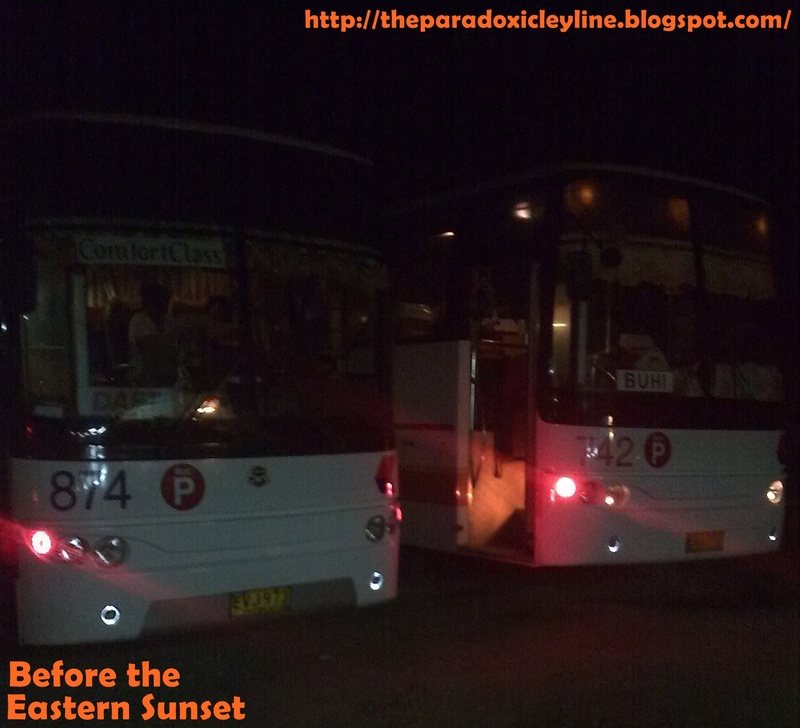 I traveled from Philtranco Pasay to Naga City for about 10 hours and traveling through the night ensured fast voyage because the bus will not stop along the way just to pick passengers up. Travel time will increase during the day because of the traffic and the usual picking-up of passengers by Philtranco buses. My travel by Philtranco bus had been good. I may choose Philtranco again if I have another travel to Bicol in the future. ano ginawa mo sa Bicol? Miss ko na ang pauwi sa amin.Gabi tagala ang biyahe pa Bicol para pag dating doon umaga na. Pinakamatagal ko yata na byahe sa bus e nung nagpunta kami Ilocos. Almost 12 hours ang byahe, nakakangawit talaga pag matagal ka nakaupo lang. hhehehe! Ya....buses plying long distances here also stop at places like that along the way for toilet breaks and for people to go and eat. Not too sure about the prices - more or less that same, I guess. If too expensive, people would rather buy before they board the bus in the main towns. Buti ka pa at naka-byahe na pa norte. Puro kasi pa-south ang mga lakad ko eh. I wan to go to Ilocos at tingnan yung mga windmills. I also did that during my trip to Bicol. I bought my own drinking water and snacks. Wow. Sandaling hintay na lang yun ah at makakarating na din kayo sa Daet. talamak pa rin ba sa bicol ang jueting,hehe.. I am fine po. Kayo po? Kumusta? May tula ka tungkol sa sabong tapos ngayon naman tungkol sa jueteng yung comment mo. Tapos yung nakaraan mong comment swertres. Sugarol ka siguro.